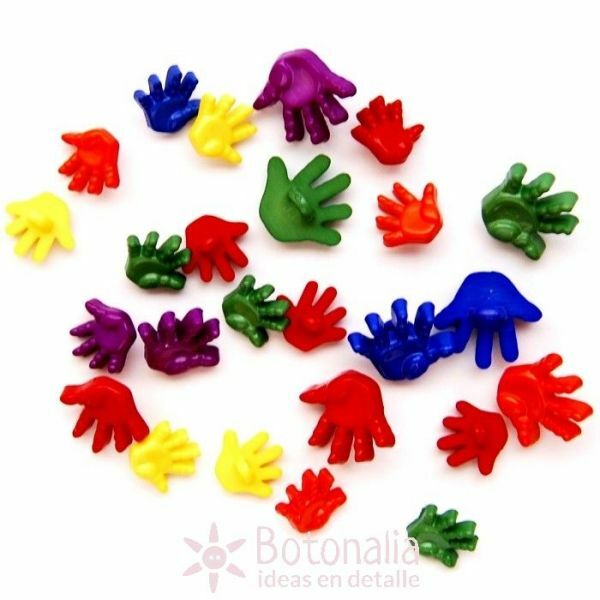 Product Description: Decorative buttons shaped as children's hands in lively colors. To be used in scrapbook and card making projects, as well as for sewing and patchwork. 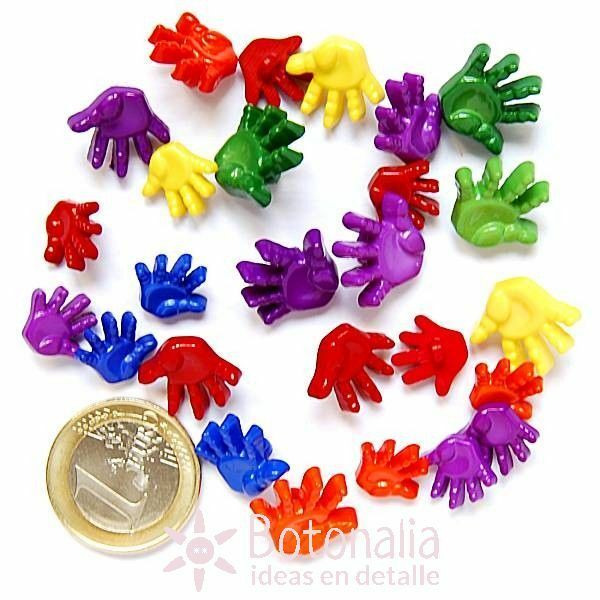 These are shank buttons. Dress-It-Up Ref. : 0608. Content: 24 buttons in 2 sizes and different colors. 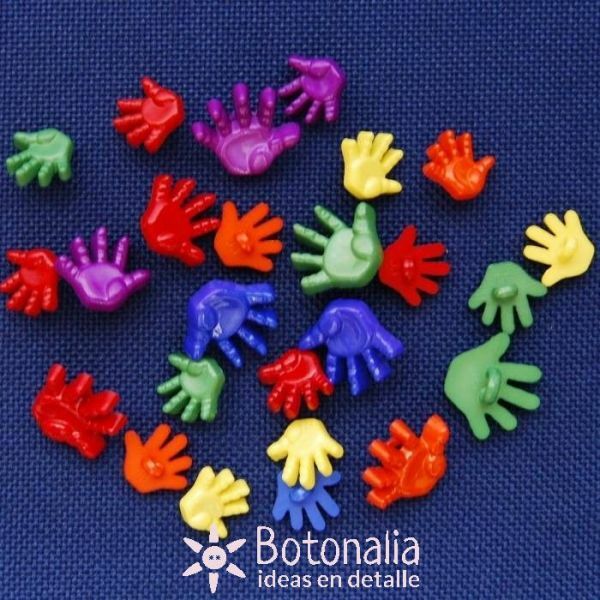 Dimensions: 13 and 17 mm.